Lucinda has worked at The Yoga Lunchbox since 2012. She loves the opportunity to be constantly immersed in the world of yoga, and particularly in the vibrant NZ and Australian yoga communities. Lucinda senses a deep and relevant connection between yoga and how we show up in the world. She loves all kinds of movement and body work, particularly when they take her out into the natural world. 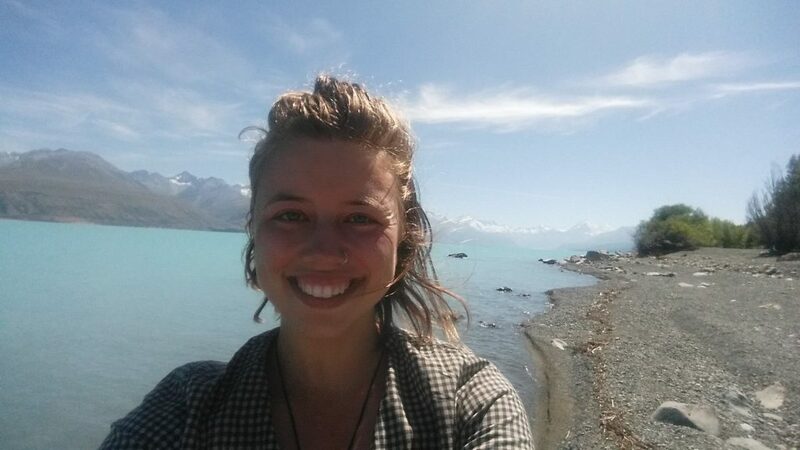 Lucinda has undertaken several lengthy cycle tours, and in 2016 she walked the length of New Zealand’s South Island on the Te Araroa trail. She’s still learning what yoga is all about, but she hopes that her yoga practice will continue to lead her deeper into an intuitive understanding, and honouring, of her self, her body and her place in the world. Her passion is liberation in this lifetime through an every day path of dissolving layers of the conditioned mind into deeper and deeper presence. Her work, through her teaching, writing and retreats, focuses on using the process of inquiry to reveal conditioned mind and so help people to drop down into beingness and presence. Kara-Leah is a co-founder of The Heart of Tribe along with Ben Ralston and the founder of New Zealand’s most popular yoga website The Yoga Lunchbox. Her practical and potent book Forty Days of Yoga, which draws heavily on her own experiences, has helped thousands of people establish a regular home yoga practice. She is also the author of The No-More-Excuses Guide to Yoga. 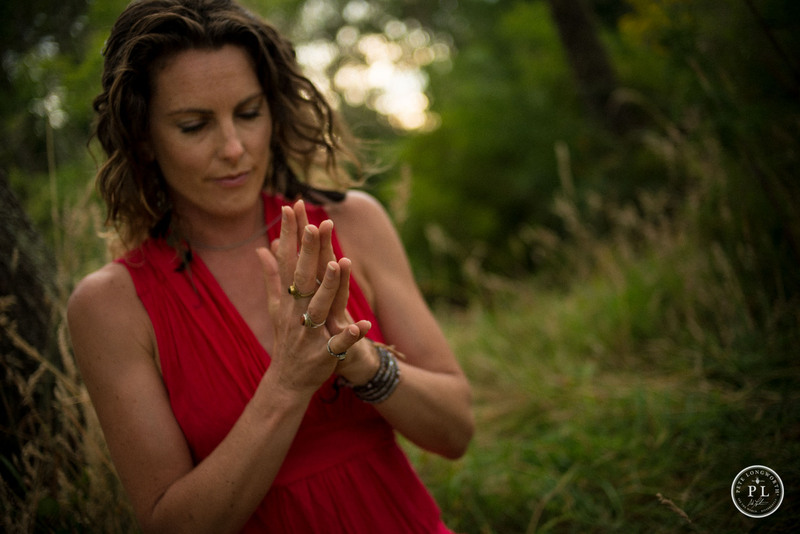 Daily yoga practice has been the anchor of Kara-Leah’s life for more than a decade now and her deep and varied practice has taught her into how to practically apply the tools of yoga to our daily lives on a physical, emotional, mental and spiritual level. As a result, the way she teaches ‘yoga’ has evolved past asana classes and into her retreats, presentations, seminars and workshops. No matter how she’s delivering what she does, Kara-Leah’s passion is helping people wake up to their potential as unlimited beings. Her passion now is working with people on retreat, and individually, to move past the conditioning of their mind and deep into their true nature as presence. Want to advertise on The Yoga Lunchbox? You have three options available to you – Display Advertising, Sponsorship or writing an Editorial Article for us. An ad in the sidebar 300 px by 200p, seen by 40,000+ people a month. An ad about your product or service in the sidebar of the Quarterly Digest which goes out to 3800 people once every three months. Total Cost NZ$499+GST. Full cost to be paid in advance. Once the money is received, the ads start running and we discuss what kind of article is going to work best to promote your product or service. Note: Only a limited number of sponsorships run on the website at one time and this is a popular service. Even if you don’t plan to advertise for a few months, it’s worth getting in touch & booking your spot. Sponsorship packages are by application only – because it includes an editorial article of some description, we have to be genuinely excited by your offering & fully believe in it so we can authentically write about it. Inquire below or send an email direct to Lucinda. Sidebar Adverts are 300 pixels wide by 200 pixels high. Larger ads can be booked at a proportionately increased rate. 10% discount for 3 month bookings or 20% for six months. File types accepted are jpg, tiff or pngs. Spots are limited, and often booked in advance. Even if you don’t want to advertise now, it’s advised to find out about availability. Inquire below or send an email direct to Kara-Leah. There is no direct cost for submitting an editorial article, however if it needs more than 15 minutes of editing to bring it up to publication level, this is charged at $40NZ+GST/hr. (Most articles need 15 to 90 minutes of work). Articles MUST be strong editorial, not advertorial or marketing. We have strict editorial guidelines which you can read here. Articles must be 700 – 1500 words long. Please include relevant details about your product, service, class or retreat at the bottom of the article. Please also include a bio. Not every article is accepted for publication. If we accept your article, but it needs editing work, this is charged at $40/hr. We will contact you to make sure you want to go ahead if this is the case. This is an excellent example of a strong editorial article successfully advertising the author’s retreat (which sold out). Please submit your article well in advance of your event. We schedule 2 or 3 weeks ahead of time. TIPS FOR SUCCESS: Make sure your article is original, informative, actionable, authentic and says something new and interesting. Submit your editorial article, including images, through this form. We partner with a third party to either display advertising on our Web site or to manage our advertising on other sites. Our third party partner may use technologies such as cookies to gather information about your activities on this site and other sites in order to provide you advertising based upon your browsing activities and interests. If you wish to not have this information used for the purpose of serving you interest-based ads, you may opt-out by sending an email to theyogalunchbox [at] fastmail [dot] fm. Please note this does not opt you out of being served ads. You will continue to receive generic ads. If your personal information changes, or if you no longer desire our service, you may correct, amend, delete inaccuracies or deactivate it by contacting us at theyogalunchbox [at] fastmail [dot] fm. We will respond to your access request within 30 days. We will retain your information for as long as your account is active or as needed to provide you services. If you wish to cancel your account or request that we no longer use your information to provide you services, contact us at theyogalunchbox [at] fastmail [dot] fm. We will retain and use your information as necessary to comply with our legal obligations, resolve disputes, and enforce our agreements. We may use autoresponders to communicate with you by e-mail. To protect your privacy, we use a verified opt-in system for such communications and you can always opt-out of such communications using the links contained in each autoresponder message. If you have difficulties opting out, you may contact us by sending an e-mail to theyogalunchbox [at] fastmail [dot] fm, or sending us mail to the address listed below. We provide you the opportunity to opt-out from any promotional or marketing emails that we may send you. You may do so by following the instructions included in each communication or by emailing us at theyogalunchbox [at] fastmail [dot] fm. We display personal testimonials of satisfied customers on our site in addition to other endorsements. With your consent we may post your testimonial along with your name. If you wish to update or delete your testimonial, you can contact us at theyogalunchbox [at] fastmail [dot] fm. Any questions or concerns about this policy should be brought to our attention by sending an e-mail to theyogalunchbox [at] fastmail [dot] fm and providing us with information relating to your concern.